If you are new here, just a reminder how this works. Four (or five) Creative Guides go on the journey each month and each has independently selected either the product, the substrate, the colour or the technique. We each make a project featuring those selections and share them every Monday throughout the month. 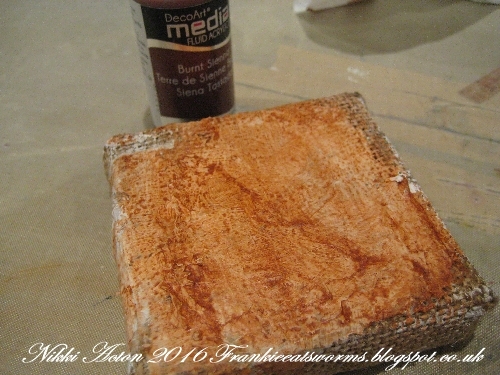 I began with some gesso on the panel and then some Deco Art Burnt Sienna. 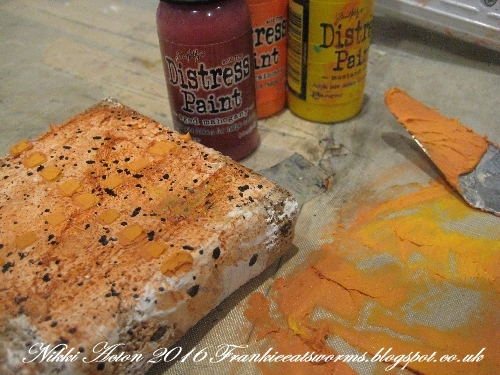 I mixed some distress paints with Ranger texture paste and stencilled onto my canvas. 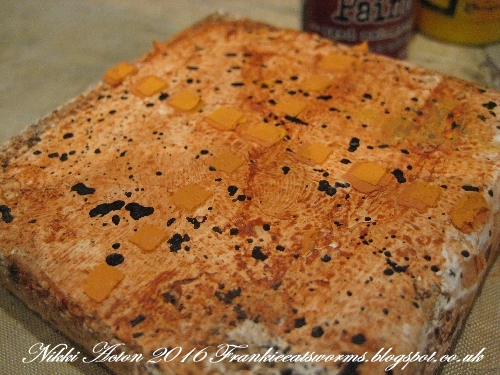 As you can see - I added some splashes of black paint using my paint brush and a little water. 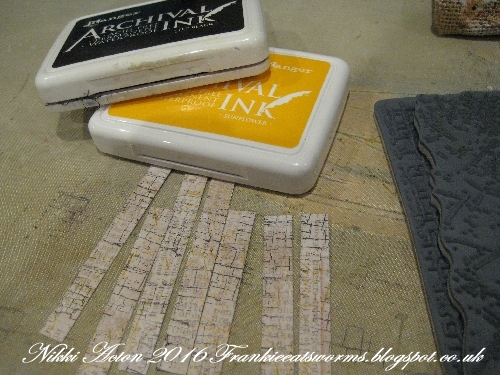 Next I took some scraps of paper, added some random stamping and a little ink and cut some bricks to collage onto my substrate. 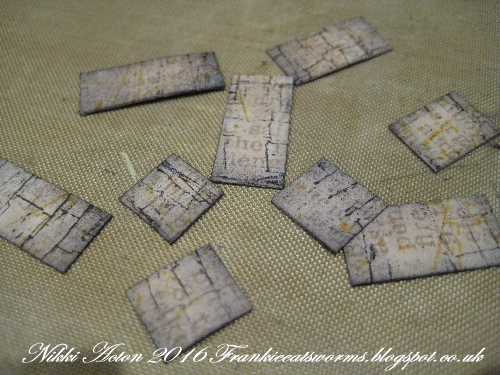 While gluing these on I also added some mica flakes. 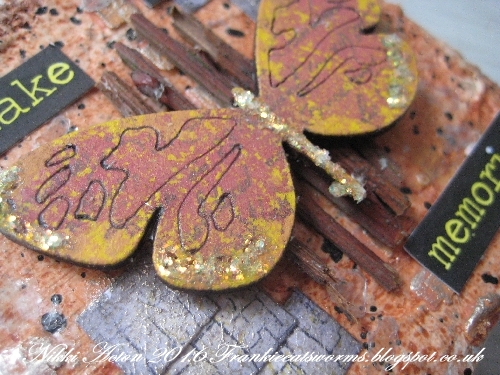 I highlighted the textured area with a little treasure gold too. 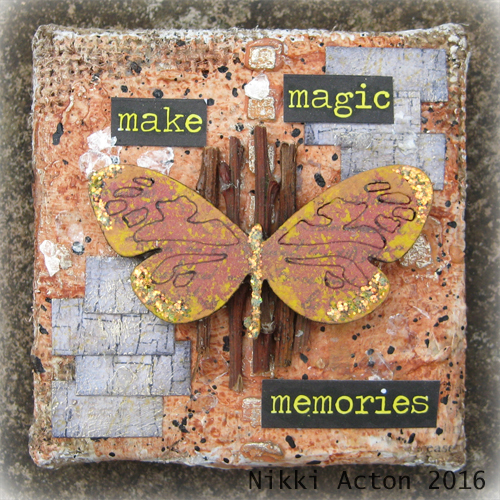 I have been collecting twigs from my garden and cut a few to size and adhered to the centre of the panel before adding a wooden butterfly that I painted with Distress Paints and highlighted with stickles. Some large chit chat stickers (coloured with mustard seed distress stain) completed my little project. Do join us again next Monday for the next stop along this month's Destination Inspiration journey. In the me meantime our new challenge - Create Inside a Frame - started on Friday and so we will be announcing last month's winner and pinworthies on Friday. Wow, Nikki, this is fabulous. 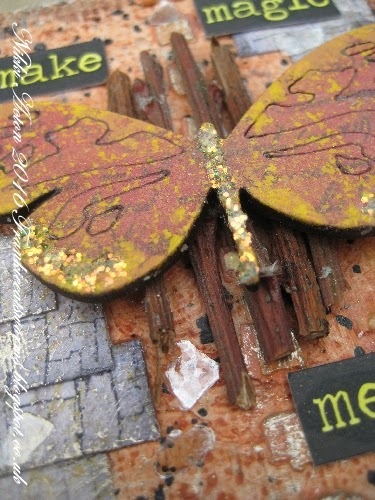 I love the burnt orange texture in the background, especially with those funky black spatters, and the butterfly looks great perched on your twig collection. A great first stop at Destination Inspiration. Gorgeous art Nikki, love it !! Great use of those travelbag goodies Nikki, love how you put this together. It has a real Autumnal feel to it, a wonderful project!! 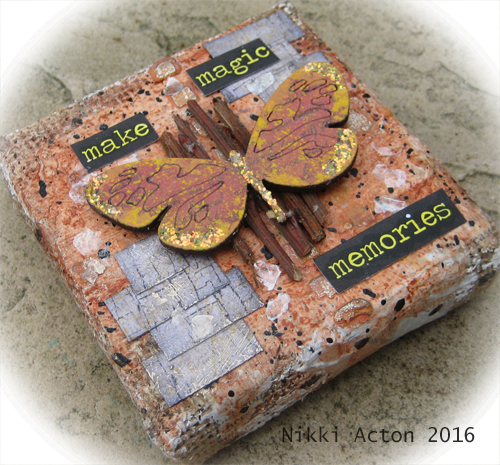 Niki, I love little canvas' like these, and you have made a beautiful autumnal design on yours! Love that butterfly! Hugs!